John Albert Marshall (18681924), commonly known as J.A., was a small and hot-tempered man. 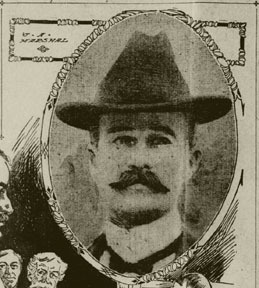 In 1906 he had two brushes with the lawone as a recalcitrant witness for the defense, threatening to thrash a much larger prosecuting attorney, the other when he was convicted of battery after pummeling John Koch, owner of a delicatessen at 2520 Bancroft Way. A Berkeley resident since 1895, Marshall began his profitable career in building as a cement contractor (the material was euphemistically known as artificial stone). On 1 January 1896, the Berkeley Herald credited him with having paved nine-tenths of Berkeleys new sidewalks the previous year. His stamp is still faintly visible on the northeast corner of Hillegass Avenue and Parker Street, across the street from his own residence. By the early 1900s, Marshall had branched out into real estate development. Among his enterprises were two of Telegraph Avenues earliest business blocks, the Marshall Apartments (1904) and the Alta Vista Apartments (1907), on the southwest and northeast corners of Telegraph and Bancroft, respectively. He also constructed many private residences—some for clients, others speculatively. His own home address kept changing as he completed a new house, lived in it for a while, then sold it and moved on. 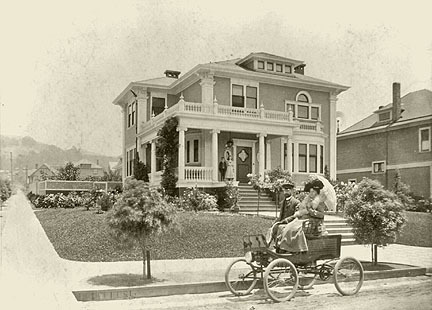 In 1897, when Marshall set out to build the prettiest home in Berkeley, he was a 29-year-old newlywed. Whether his ultimate aim was to please the bride or to embark on a speculative venture, Marshall spared no expense. The builder he hired was Jonas Irving Bowers, a prosperous carpenter who would accumulate considerable real estate holdings in Berkeley before decamping for Southern California. To design the house, Marshall selected the sought-after firm of Cunningham Bros., two young architects then at the height of their fame. Harry L. (18691919) and Gerald C. (18721900) Cunningham were born in Calcutta, India. Their father, a captain in the British Royal Engineers, died before Gerald was born. His widow and the boys came to California in 1874, settling in Oakland. The brothers began their architectural apprenticeship in their teens (Gerald at 14). First Harry, then Gerald worked as a draftsman for the prominent San Francisco architect John J. Clark. At the age of 20, Harry transferred to the office of A.W. Pattiani, a fashionable East Bay designer and builder, but in 1891 both brothers disappeared from Oakland for two years. In 1893, Gerald opened his own practice in Portland, Oregon, but the pair reappeared in Oakland in 1894, this time as partners. The first buildings bearing their combined name date from that year. 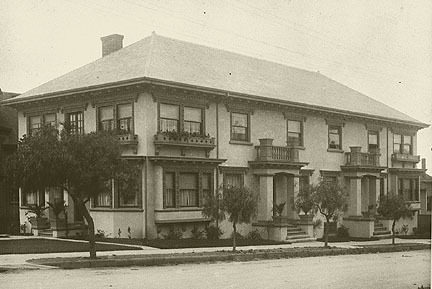 Although both members of the firm were young then, stated the Oakland Tribune in its obituary for Gerald on 29 June 1900, they had attained to a coveted position in their chosen profession and had built more than their share of the modern structures of this State and in various places along the coast. The Cunninghams best-known Berkeley building was McKinley School (1896) on Dwight Way. 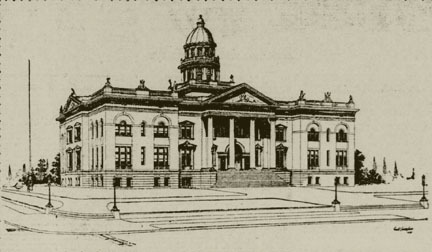 Gerald Cunningham was considered one of the best pen-and-ink artists in California, and his renderings paved the way for many public commissions, from the Modesto High School to the Contra Costa County Courthouse in Martinez, listed in the National Register of Historic Places but erroneously attributed to William Mooser, who designed the adjacent jail. The firms progress was cut short by Geralds death from cerebral meningitis. He was 27 years old and had been married only two months. 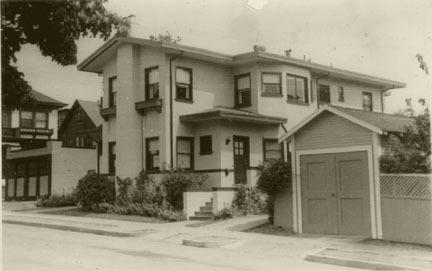 Harry then brought in Matthew Politeo as a partner, and the two went on to design Art Nouveau buildings in San Francisco and Oakland, as well as many of the early farm buildings on the U.C. Davis campus. J.A. Marshalls house began its life as an opulent 8-room residence. 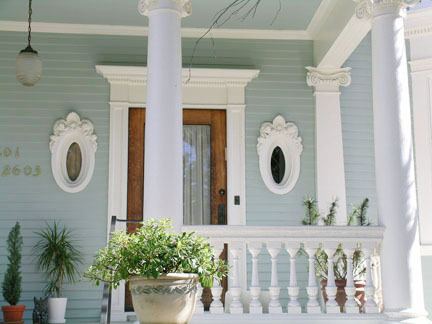 Designed in the Colonial Revival style, it is graced with massive corner pilasters and an L-shaped porch supported by six Ionic columns. 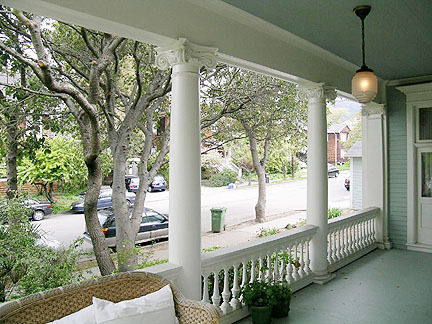 Extensive ornamental balustrades, only some of which remain, lined the porch above and below. A Palladian window, since replaced, was set above a bay window in the façade. The property extended all the way to Benvenue Avenue, with tennis courts, windmill, a barn, and a carriage house in the rear. 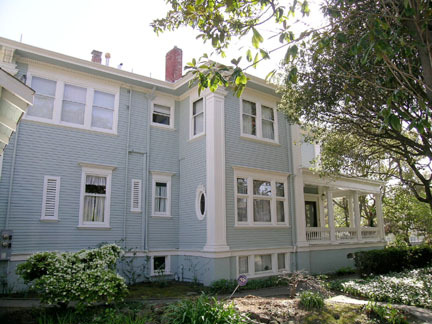 In December 1899, less than two years after the house was completed, John Marshall put the prettiest home in Berkeley on the market. The asking price must have been salty, since the next owner was Erik Olof Lindblom (18571928), a newly minted millionaire. One of the Three Lucky Swedes who discovered gold near Nome, Alaska, Lindblom has been the subject of many biographies, as well as inspiring the character of Dextry in Rex Beachs novel The Spoilers, which was twice adapted for the screen. Piecing together details from various accounts, some more credible than others, one gathers that Lindbloms father, a school teacher in Dalarna, died early, leaving his widow and children in penury. After completing his public schooling at the age of 14, Erik learned tailoring, and three years later began traversing Europe as an itinerant journeyman. Spending some time in London, he obtained additional schooling at the YMCA Polytechnic and met his first wife, Mary Anne Smith, a tailors daughter. The two were married in August 1886 and sailed to New York a month later. 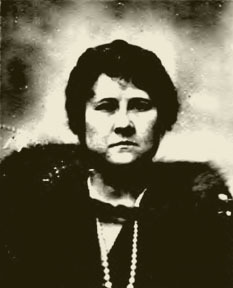 Their daughter, Brita Margaret, was born in New York in December 1887. By the time their son, Olof Henry, was born in 1890, they were living in Pocatello, Idaho. A few years later, they had moved to Montana, where Lindblom was naturalized in 1894. When the news of a gold discovery in Kotzebue Sound swept the nation in 1897, Lindblom was eking out a living as a tailor on 23rd Avenue in east Oakland. Already interested in mining and having attended Professor George Davidsons lectures on Alaska, he borrowed money and, on 27 April 1898, shipped before the mast on the bark Alaska, which carried prospectors to the new gold fields. 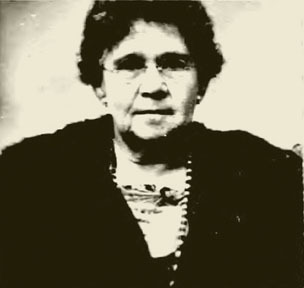 Mary Anne was left in Oakland to work as a seamstress at a dry goods store, earning $1 a day. Upon reaching the Bering Sea, the Alaska was obliged to wait for the ice to break up. Lindblom had learned from whalers that the Kotzebue yields were meager, and he seized the opportunity to jump ship at Grantley Harbor, starting on foot for Golovin Bay. Surviving several mishaps, he arrived there three weeks later with the aid of an Inuit trader. After prospecting on his own for several weeks, Lindblom met John Brynteson and Jafet Lindeberg. In stormy weather, the three embarked on a 100-mile sea voyage to the mouth of the Snake River. They reached their goal on 15 September 1898 and a week later struck gold at Anvil Creek, quickly filing as many claims as they could in their own names as well as in others. The Nome gold rush had begun. Lindblom invested his proceeds from the Nome bonanza in U.S. and Mexican mines, and holdings in banks, transportation, and real estate. 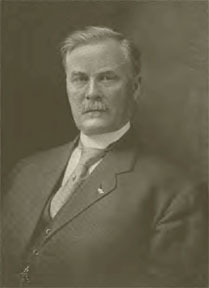 He would become sole owner of the Parral Electric Light, Telephone & Water Co. in Chihuahua, Mexico; president of the Swedish-American Bank of San Francisco; vice-president of the Pioneer Mining Co. of Nome, Alaska (incorporated in Seattle); director of the Davidson-Ward Lumber Co.; and owner of the Claremont Hotel. Along with wealth came a flamboyant lifestyle, much travel, at least two automobile accidents caused by his reckless driving, and a goodly number of lawsuits. Some of these were brought by claim jumpers, others by professionals and tradesmen who had not been paid, but the lengthiest of all, lasting over five years and keeping 18 lawyers employed, was the Lindbloms divorce trial. Lindblom quickly found a new life partner, taking up with Hanna Sadie Sparmana tall, blond and blue-eyed 18-year-old, the daughter of a Swedish basket manufacturer. Twenty-seven years her senior, the new boyfriend moved into the Sparman familys Oakland home. They made a handsome couple, apparently inseparable and spending much time in travel. 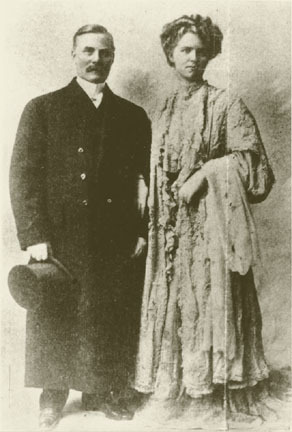 They were married in Bellingham, Washington on 7 June 1907, a month after Mary Anne was granted her final divorce decree. As part of the divorce settlement, the first Mrs. Lindblomnow declaring herself a widowreceived the house at 2601 Hillegass Ave. Soon thereafter, she rented it to Wigginton E. Creed (18771927), attorney (at the time he was Louis Tituss law partner), capitalist, and future president of PG&E. In 1911, after traveling for a few years, Mary Anne built an apartment house on the eastern part of the property, at Benvenue Ave. and Parker St. (George Anderson was the designer and John A. Marshall the builder). Two years later she sandwiched a pair of flats between the apartments and the house, at 261012 Parker Street. These were designed by Sydney B. Newsom. Further augmenting her income in 1916, Mary Anne divided her house into two flats, reserving the lower floor for herself and Brita. Erik, meanwhile, had allied himself with Frank C. Havens in 1914, injecting funds into the Claremont Hotel (begun in 1906 and still unfinished) and completing it in time for the 1915 Panama-Pacific International Exposition. Three year later, he took complete possession of it. He would live in the hotel until his death, and the hotel would remain in the Lindblom familys possession until 1937. 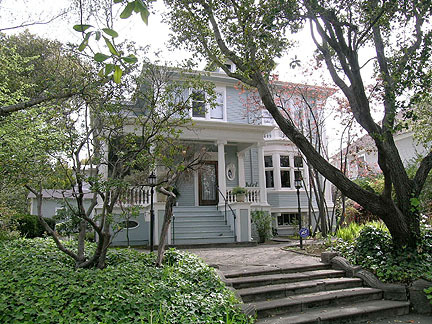 The Marshall-Lindblom House was designated a City of Berkeley Landmark on 3 March 2003. This article was published in the Berkeley Daily Planet on 18 April 2008. Copyright © 20082018 Daniella Thompson. All rights reserved.